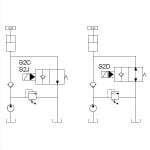 Typical application for the S2C valve is a pump unloading circuit when high flow and low pressure drop is required. 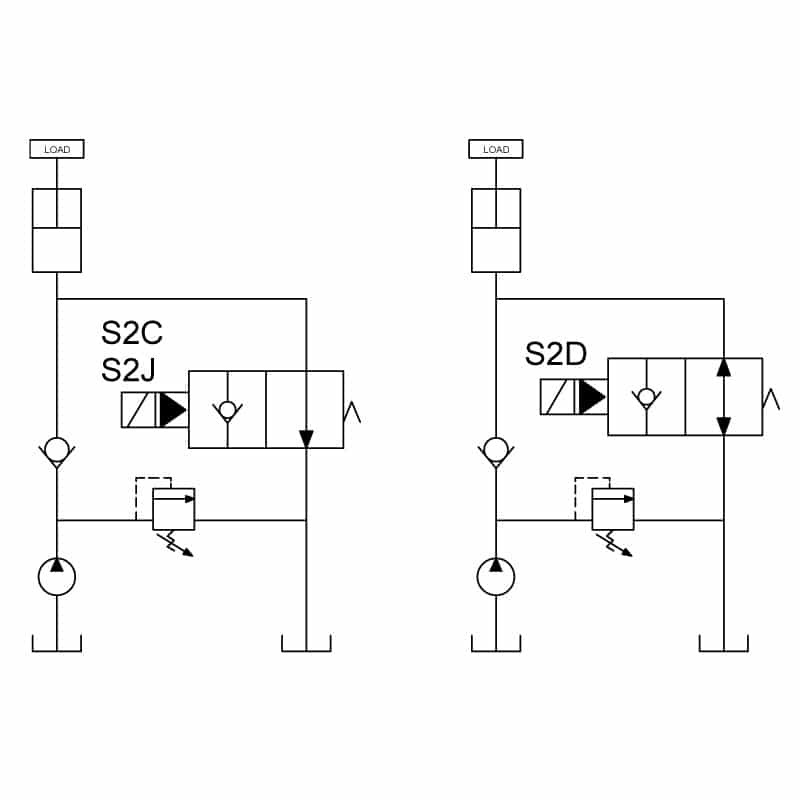 Typical application for the S2D valve is for when free flow is required in both directions to float the cylinder. 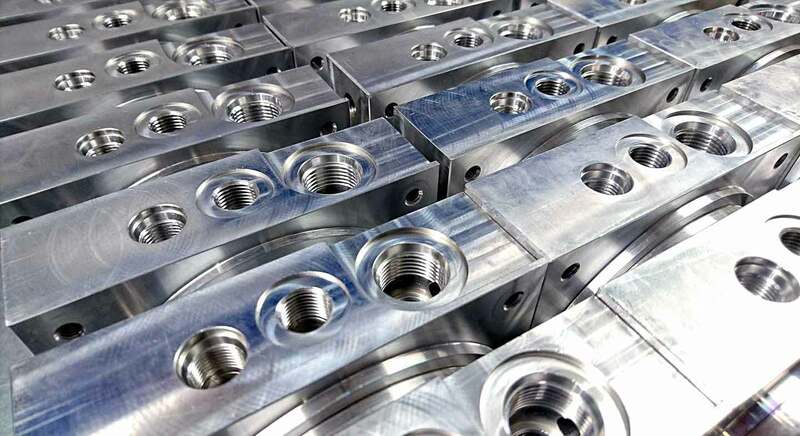 Typical application for the S2J valve is for low pressure applications where the soft seat gives better leakage control.